Today on my blog I am talking about my Invisalign experience - hopefully I can share some information for anyone that has been considering the treatment or wanting to know more before they start. Why did you choose to have an Invisalign and not metal braces? To begin with, I've been wanting braces since high school. When all of my friends had their braces, I went to the dentist to find out that my teeth 'didn't fit the criteria' to get free ones from the NHS. Now being almost 20, I really didn't want to pay for the metal tracks across my teeth. I already look young for my age and I don't think they would have helped that situation at all. Another reason, I spend a lot of time in front of a camera, either taking photo's or filming, so the thought of having a brace that no one would notice really sold me. And lastly, my bottom teeth were not straight at all and I really wanted to fix that! So I saved up some money and booked an appointment at Ocean Dental Manchester to have an Invisalign consultation. At the consultation, I spoke to my dentist to see what I wanted doing, how long it would take and the pricing. 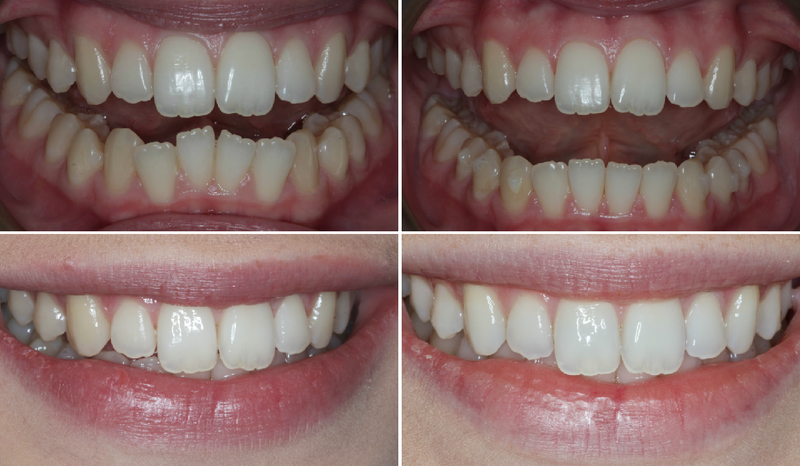 For me, I only wanted my bottom teeth straightening as they were crooked so my treatment was only expected to take 3 months! 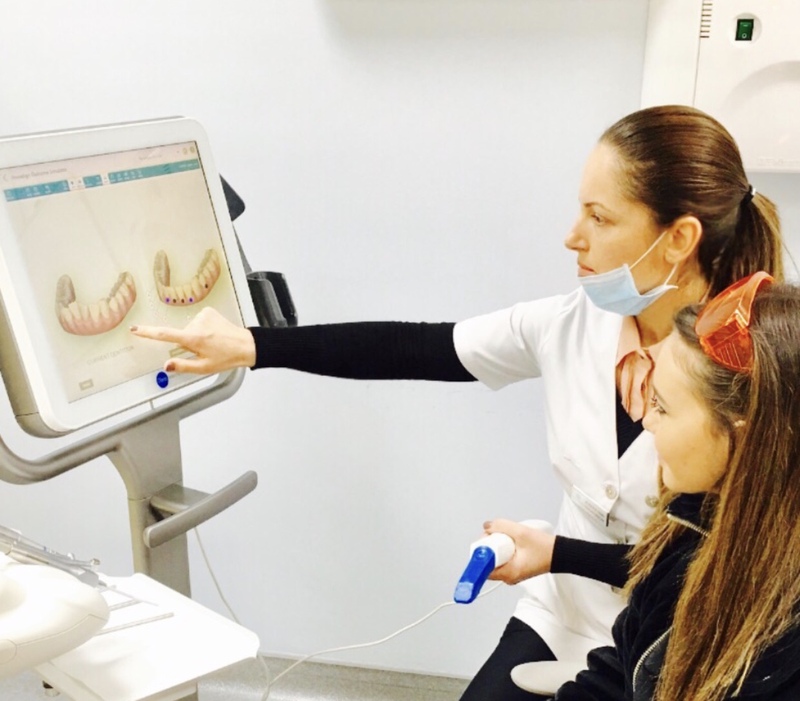 My express treatment started with a scan of my teeth, isn't technology amazing? There was no need for me to have the horrible, dreaded mould. 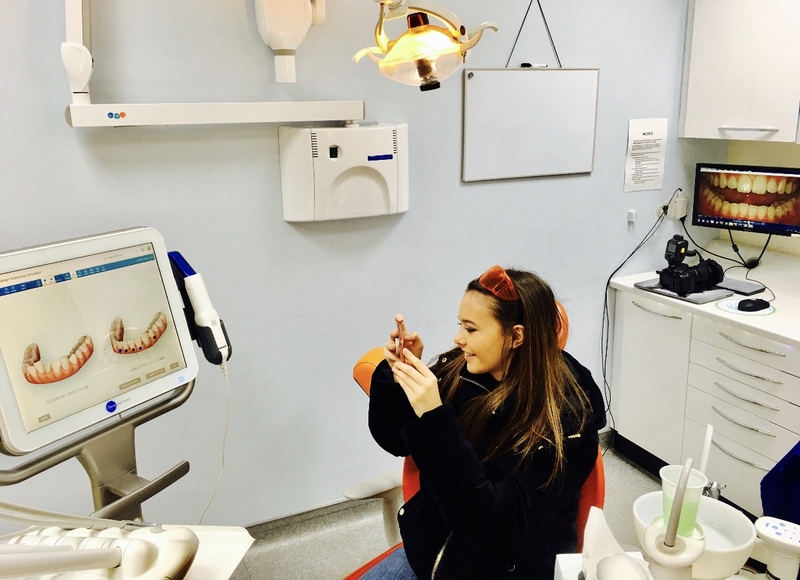 Instead, Romina - my dentist - used a scanner to scan my teeth and then we could see an image of them on the screen and what they would expect to look like after the treatment. This was then sent off and I was back at Ocean Dental a week later to pick up my first set of Invisalign Aligners. Was it painful? I wore my trays all day everyday for 3 months, every week you switch to a new aligner and gradually your teeth move with each one. During my treatment, I experienced the least amount of pain. When I first put in a new aligner, it would slightly hurt the first day or two, but I never had to take painkillers and it definitely wasn't excessive! Sometimes after you've finished your aligners, your dentist will check your teeth to decide whether you need more or not. In my case, I was finished!! It was one of the best feelings to finally take them off and compare to how my teeth looked before my treatment - I still can't believe how much of a difference there is now! I now have a metal retainer at the back of my teeth to make sure they don't move back to their original positions - it's really unnoticeable! Have you had your teeth whitened? After this, I had my teeth whitened to get them that little bit more perfect. I have always been worried about damaging my teeth with this - but I took home some customised whitening trays (had to get the mould done for these, I was not a fan!) and the professional products to whiten my teeth. Every night, after I brushed my teeth and finished eating. I applied the product to my retainer and left it on for about 2/3 hours. Now, my teeth are white and I didn't have any problems with sensitivity! It was a lot easier to whiten my top teeth than bottom. But funnily enough, my bottom teeth are not usually on show anyway. Thank you to Romina from Ocean Dental Manchester for helping me get the teeth I have always wanted! I still can't believe how easy, quick and pain-free the whole process has been. Growing up I've never been scared of the dentist - I'm still not now!